Last Sunday Kensington Publishing and the Fountain Bookstore hosted a cozy conference in Richmond, Virginia. 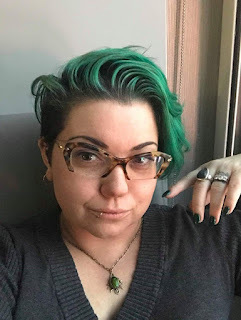 The impressive line-up of authors included Sherry Harris, Maya Corrigan, A. L. Herbert, Ellery Adams, Alex Erickson, Amy Lillard, Bethany Blake, Carlene O’Connor, J.D. 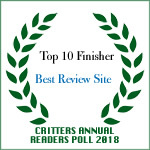 Griffo, J.R. Ripley, Lane Stone, Libby Klein, Lyn Cahoon, Misty Simon, and Mollie Cox Bryan. Both LynDee Walker and Rosemary Stevens supported their fellow authors from the audience. They fed us a substantial brunch and we ate while the authors visited each table to describe their books in a timed rotation. This author round robin is a standing event at the larger conferences and is the source of much hilarity for the attendees, if not the authors, who have to be exhausted by the time it is over. I collected a goodly quantity of bookmarks which I added to the swag bag of more bookmarks and other book promo materials. The bookmarks will find their way to a local library to distribute to its readers. Kensington generously gave away a number of books, including a large basket full. I was fortunate enough to win an ARC of J.D. 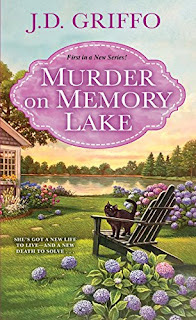 Griffo’s debut cozy Murder on Memory Lake, to be released on 31 July. The second in his Ferrara Family series Murder in Tranquility Park is due out in March 2019. Alberta Ferrara Scaglione inherits her family’s vacation home on peaceful Memory Lake, radically different from noisy Hoboken, New Jersey, and settles in to live there full-time. She is elated to learn her granddaughter, a budding investigative journalist, has found work nearby. 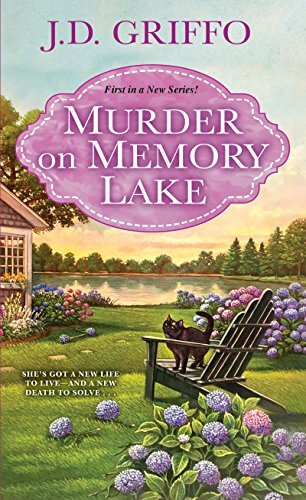 What doesn’t make her happy is the discovery of a body floating in the lake. Even more distressing is recognizing the victim as a childhood acquaintance that she never particularly liked. While the local police chief, another childhood friend, tells her to stay out of it, Alberta and her granddaughter are determined to identify the person who damaged the serenity of Alberta’s new home. They team up with Alberta’s sister Helen and their sister-in-law Joyce to form an intrepid crime-solving team. Full of Italian maxims and cooking with an emphasis on family and friendship, this book is a lively read and a welcome addition to the cozy genre.